Hot photo apps come and go, but the practice of shooting and sharing is universal and is now a fundamental part of the way that we communicate with each other. Photos aren't printed on paper anymore they are displayed on screens; and everywhere they are shown, the viewer is invited to like or share. 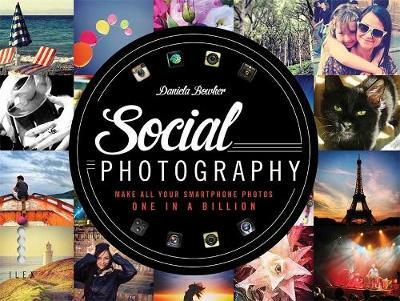 Social Photography will show you how to create photos that will be clicked on, liked, shared, and if you want go viral. A must-read for anyone who takes their online presence seriously, this book will show you how to give your photos a fresh look, give you hundreds of posing and shooting ideas, and let you share your life's most exciting moments wider than ever before.